Could all of this be Vitamin D Deficiency Symptoms? The weird thing is that I have been taking D3 oil caps for the past 3 years or so, around 3000 IU's per day.... so you think my level wouldn't have dropped like it did...do you know what that could have dropped and is this is sign my body isn't absorbing it, should I take it in another form? What dosage would be appropriate? I use the walmart brand (spring valley), but would a better brand like Carlson's be better? Also, this last bottle I have here, I just noticed its 5000 IU's per pill, I thought it was 1000 IU's oops...... so I have actually been taking 15,000 IU's (3 per day) for about a month now......could that be contributing to any of my above mentioned issues?? Well, that's quite curious about your level dropping after taking 15,000 IU's for the past month. And it's interesting that you are having symptoms going from a level of 60 to a level of 43 ng/ml. You should not be having symptoms at a level of 43 ng/ml at all. Whether your levels have dropped or not,they are both normal and shouldn't be causing you to have symptoms. So, I'm wondering if there is maybe something else going on with you- or if your level 2 years ago was even correct! 3000 Iu's is a bit on the low side, but 15,000 per day is way too much for the long term. So, you may want to continue taking 5000 IU's a day and get another level in two months because it sounds like you aren't absolutely sure how much you have been taking. Also, the depression sounds like vitamin d deficiency, but not really the dizzyness or the anxiety. It's possible that the oil in your vitamin d is rancid. I discuss the problem of rancid oils in vitamin d on the Vitamin D Side Effects page and I recommend a 'Dry' (no oil) Vitamin D Supplement for that reason. Also, the anxiety could be an induced magnesium deficiency from the vitamin d. It 'uses up' magnesium when you take vitamin d and you can get Signs of Magnesium Deficiency when you take vitamin d.
So, get a new vitamin d supplement and follow the instructions on my Magnesium Dosage page to make sure that you are getting enough magnesium and see how that works out. If your level is still decreasing and/or you still have symptoms after a few weeks, then let me know and we can brainstorm a bit more. I was just reading the post about vitamin D which I found to be pretty helpful. I myself am defficient in Vitamin D according to my MD. I had my levels checked last month and they were at a 8 and my doctor wants them to be between 70-80. She was quite concerned as I have osteoporosis already and premature ovarian failure and she thinks that is what is making my bones so brittle right now. So a couple of weeks ago she put me on 50,000 vitamin D 3 times a week to get my levels off. I don't know why I am not absorbing vitamin d because I was taking 6,000 a day and still had low levels of vitamin D. I saw you had mentioned that 15,000 is too much. In my situation here do you think that I am taking too much vitamin D? I find it REALLY REALLY hard to believe that you were taking 6000 (six thousand) IU's per day and had a level of 8 ng/ml!! That is just nearly impossible. Are you SURE that it was Six Thousand and not Six Hundred IU's per day. That's the amount that is in most multivitamins. And unless you were taking a stand-alone high dose vitamin d, you wouldn't have been taking 6000 IU's per day- and most stand alone vitamin d capsules don't come in a dosage of 6000 IU's per capsule, so you would have been taking several capsules to get 6000 IU's per day. And if you were taking six hundred IU's per day, then a level of 8 would not be unusual. 600 IU's is less than the the proper dose for a newborn infant- not an adult!! So, your dosage of 150,000 per week right now is fine to bring your level up. The previous respondant had a level of 43- so 15,000 IU's per day would be too much. However, please read my page on Prescription Vitamin D to see why you should replace that prescription with the same dosage of Vitamin D3 Supplements instead of the FAR INFERIOR prescription form. And you should also read my page on Vitamin D Side Effects to see why you should make sure that you are also taking magnesium supplements to make sure that you don't get magnesium deficiency from taking such high doses of vitamin d- and magnesium is essential for proper bone formation too. Much more so than calcium, which the vast majority of westerners get in ABUNDANCE. What we DON'T get is vitamin d and magnesium, without which we can't absorb the calcium that we DO get!! I received your response. I have been really into a natural way of living for the last couple of years as it has turned around my life in many ways. Since starting to live this alternative last style I went from taking 13 medications a day from health problems to taking no medication and a couple of natural supplements through a doctor. I also have lost a huge amount of weight 215 pounds to improve the quality of my life. I was taking from a company called biotics a liquid vitamin D as I had known I wasn't absorbing vitamin D so my doctor thought a liquid form would be better for absorption. I was taking a product called Bio-D-Mulsion Forte which has 2,000 IU and I was taking 3 drops of those daily which was equivalent to 6000 and my doctor was trying to figure out why I wasn't absorbing it. 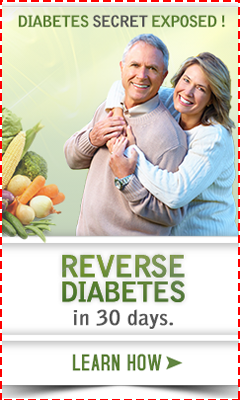 I am now taking a vitamin D3 supplement of 50,000 IU 3 times a week. I have also as well been taking separate Magnesium Supplement to increase my magnesium levels of 600 mg a day. I was also deficient in magnesium. I have also added coq10 to my regimen and High Dose Vitamin C Supplement right now along with Zinc as I also have a lot of yeast in my sinuses due to an allergy as well in yeast. I have noticed a difference since I started the regimen. My doctor have as well discovered I have a Gluten Sensitivity and they think maybe that caused inflammation in my system which is why I wasn't absorbing vit. D.
I have cut wheat and gluten and yeast and sugar out completely from my diet right now and I am having my levels checked again in 3 months to see if there is a difference. My thyroid was also off and I just recently started taking a natural supplement to help my thyroid. I had been noticing that my legs were really weak and they felt heavy so I started a natural thyroid medication which I noticed a difference the following day and how I am getting my strength back in addition to losing an additonal 18 pounds soon after starting the natural thyroid medication. My medical doctor will not put me on synthroid. I have made huge changes to help to improve the quality of my life. I also dont know if I should be adding any more vitamins to my life but the vitamins I am on I did get in whole foods with the help of someone in the store to get high quality vitamins. Wow!! That's an amazing story. That is great that you have done so well mostly just by changing your diet and taking supplements. Amazing!! So, about the vitamin d. Well, it certainly sounds like you really were getting 6000 IU's per day and had a level of 8 ng/ml. Very unusual. I agree that getting on a Gluten Intolerance Diet is the right thing to do and that gluten sensitivity may be contributing to your problem. And it sounds like you added most of the Vitamin D cofactors, such as I advocate in the Vitamin D Absorption Pack that is in my store. That can make a big difference. I read your information about the tanning bed quite interesting. I am not working at the moment so I cant afford to get it but it is something I can definitely look into. This wheat and gluten free diet is harder a lot harder than when I was doing a yeast free diet these last couple of years. I was just curious is oatmeal considered to have wheat or gluten? I enjoy my Irish steel cut oats which I had a small bowl of this morning and last night. I saw something that said oats have to say gluten free does that apply to this Irish steel cut oatmeal? I am noticing now that my stomach isn't happy and I feel a little nauseus. I am trying to figure out where it is coming from. I am taking now 3000 mg. of vitamin c daily with 200 mg of coq10 along with tree tea oil mouthwash and another mouthwash called perio wash with organic herbs and coq10 along with gargling with sea salt. I have a infection in my tooth and I am trying to save my tooth and avoid root canal so I have stepped up the vit. C and coq10. Do you think my stomach being upset can be from the oatmeal I just ate or too much vit. C. I didn't have this stomach being upset when I ate the oatmeal in the beginning of the week. Is there such a thing as eating to much beans? I make a lot of my own beans by soaking them as I was told it is good to eat for a gluten free diet but I don't know if that can make my stomach upset. Is brown rice pasta considered to be ok for a wheat and gluten free diet. I am trying to find foods I can eat instead of eating the same thing all the time. Where can I get some good recipes for quinoa and for the wheat and gluten free diet? It doesn't help that when I do become symptmmatic that I suffer from severe anxiety and OCD and its something that I struggle with on a daily basis. I am in treatment for it now but won't take any psychotrophic medication for it as I don't believe in popping pills for that but yet I really suffer. IS there any natural medications on the market that you know about? I have a huge weight loss story to tell and of my success in keeping it off. I had gained weight on medication and my weight from being 140 pounds to gaining 240 pounds of which I have already lost 215 without surgery. Even though I have lost the weight I have become obsessed with eating healthy and have a hard time deviating from the plan of eating really restricted. I was told I have a bit of orthorexia and cant break free from it. Your advice has been quite helpful in responses that you have given me. First of all, ANYONE who tells me that they have anxiety or OCD, I think of magnesium. I think that you said that you are on about 500 mg or 600 mg of magnesium? Please read my page on Magnesium Dosage. I think that you probably need a lot more magnesium. Your OCD and anxiety ARE Signs of Magnesium Deficiency and they may improve greatly with more magnesium. You may want to include vitamin b6 as well because you need sufficient vitamin b6 in order to absorb magnesium. Next, if you take a look at the page for Nikki Young's Gluten Free Cookbook and sign up for her newsletter, she will give you a whole bunch of free quinoa recipes- so that's an easy one. Next. Oatmeal. TECHNICALLY, oats are contaminated with gluten. I, too, love steel cut oats (and mix them with quinoa too! ), but I use the Bob's Red Mill Gluten Free Steel Cut Oats. Most people don't react to the small amount of gluten in oatmeal and so it's a slightly controversial subject. But until you know how you are going to react, I suggest that you do 100% gluten free. A gluten free diet should actually not be that hard because as long as you are simply eating whole unprocessed foods, then you are generally not getting any gluten. So, there is NO gluten in anything in the fruit, vegetables, dairy and meat sections. Add in a few of the known gluten free grains, and there you have it. It's actually pretty simple and not very restrictive if you do it that way. You really only get into complexity when you are trying to figure out which PRODUCTS have gluten in them. Just don't eat processed foods and Voila- a gluten free diet!! I'm in my 30s but since taking tetracycline on repeat prescription for 5 years in my late teens i've had all sorts of symptoms that my Dr always puts down to stress (which i'm adament it's not). Symptoms range from fatigue, anxiety, muscle twitches, tingling in feet, numbness of arms in sleep, skin changes. I've tried every vitamin/mineral under the sun but am now convinced the following are responsible, Calcium, vitamin d, magnesium and zinc as when i take these my symptoms and appearance can change dramatically very quickly. The problem is i can't work out the combination? one day something seems to work but next day same supps make things worse? Really confusing? I'm not sure what to do next? I must be vitamin D deficient as spend so little time in sun due to job and tend to like shade but when i do spend a few days regularly in the sun i notice big improvements. High doses of supps 1000iu upwards make me feel and look really fatigued which makes me think i'm not absorbing it well? i'd really appreciate your advice please. I was tested 2 years ago & my level was at 6. I was given 50k IU every 2 weeks for 2 months & then told to take 1k IU every day. I still have symptoms of depression, weakness, joint & muscle pains and I went from osteopenia to osteoporosis. I increased my dosage to 5kIU per day and was re-tested last month and it went up to 30. I was not told to hold off on the vitamin prior to the re-test and I'm wondering if the 2nd level was just the vit D I had recently taken or was it a true test? I've read different articles and some say I should have not taken any for 4 days, etc. I spoke with a new ob/gyn today & he felt I just needed to go out in the sun. I wonder if my body just isn't absorbing the Vit D. I once had Vit C given to my by IV and I never really absorbed that either. Going from a 6 to a level of 30 with the small doses that you were taking is significant. A level of 6 would likely require a dose of 100,000 to 150,000 IU's for 3 months or longer to bring your levels up. So, please just simply follow the directions on the Vitamin D Therapy page and bring your level up. It's VERY unlikely that there is anything 'wrong' with you except your choice of doctors who doesn't know how to dose the right amount of vitamin d.
Is anyone supplementing their D3 with vitamin K-2? Higher doses of d will deplete your stores of K-2 and increase the toxicity of large doses of D. If you decide to supplement with K-2 look for brands that have K-2 with MK-7 sometimes called Super K.
That's why I recommend that no one take large dosages of ANY supplement alone, and specifically why I recommend taking it with the Vitamin D Absorption Pack which contains Vitamin K in the correct dosage and form to prevent you from having problems with the depletion of Vitamin K and Magnesium. I am a black female who had a gastric bypass and now has a very, very low vitamin d and iron levels. I'm currently taking 50,000 units weekly by mouth as prescribed by my doctor, and two years later, my levels have DROPPED! I started at 7 got up to 15, and now back down to an 11. I know its winter but my symptoms of fatigue, memory loss and depression are really taking a toll on me! My pharmacist stated that my levels should range from 30-50 or higher. How will that ever happen with my current treatment plan? He also suggested that I get 15 min of sun daily. I barely have time to go to the bathroom in the course of my day, so finding time during daylight hours to leave the building and stand in the sun is very unlikely. Lastly he stated that I may need to be hospitalized to get my levels to “normal” levels. I’ve been misdiagnosed with MS, fibromyalgia and lupus, but I know that something is not right. Could a correct, consistent dosage of vitamin d help me or should I be looking in other areas for answers? Any help with the iron deficiency will also help. Please see my page on Vitamin D Absorption. Spring valley D3 from walmart is crap! The best way I can get D3 is sublingual. Some people can't absorb D3 and some docs don't believe us. I had prescription for 50,000 a few times a week and that didn't bring my levels up. Everyone is different but sublingual is best. I was told I was fine for 5 years! Then recently a doc found out my D was very low and that's why I had symptoms. Ever since I ordered sublingual I feel 100% better and everyone should at least give it a shot if prescriptions fail. I'm still in the process of research with regard to the right amounts of Vitamin D, Magnesium, and Vitamin K2, but Vitamin K2 appears to be very important with regard to where calcium is deposited. Vitamin D helps with absorption of calcium, but it may end up in the arteries instead of the bones. I've read recommendations to supplement with vitamin K2, which is hard to get through diet, to avoid calcification in the arteries. I take Vitamin D3, Vitamin K (K1, K2-MK4, and MK7 combo), Magnesium, and Zinc lozenges. I do take daily doses higher than RDA of D3 (20,000 IU), K (1000 mcg K1, 1000 mcg K2 MK4 and 500 mcg K2 MK7), and Magnesium (600+ mg in Glycinate form). I do not recommend my amounts for anyone else. This is a trial for me since I have a thyroid disorder (Hashimoto's Disease) and Osteoporosis runs in my family (hence the the K2 and Zinc to get the Calcium to the bones). I'm new here, but I'm disappointed that you don't seem to be recommending K2 MK7 along with vit d3 for those whose blood levels aren't improving, as well as magnesium, both essential for proper absorption of d3. I understand k2 is what directs the d3 to the bones and teeth and keeps it out of arteries and heart muscle which is where it IS dangerous. Do you disagree with this? Maybe I've somehow missed it. If so, I apologize. I also saw nothing about k2 in your FACT SHEET, when scanning it. So... not impressed. Huh? Did you read the thread? In fact, one of the products that I put together, since there is a lack of a single product with all of the necessary cofactors for Vitamin D, is my Vitamin D Absorption Pack. I also go over this on my Vitamin D Side Effects page, Magnesium and Vitamin D page, and Vitamin D Absorption page, as well as in the answers to hundreds of questions in various places on this site- including this thread! There are literally hundreds of things about Vitamin D that did not get included into my 3 page fact sheet. 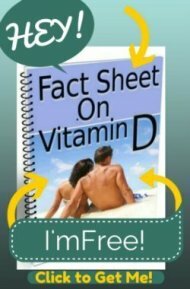 It's not a 100 page book called 'Everything about Vitamin D', it's just a quick and free overview to highlight it's importance for the vast majority of the population who knows next to zero about it. You could also criticize it for not having hundreds upon hundreds of things about vitamin D in it! I am very deficient in Vit D and unable to take it? What do I do? I have tried every brand on the market with no success. Vit D lowers my blood sugar as well as all other oil based vitamins. Even a small amount I have side effects. I can not function if my blood sugar is so low. My Dr. has no answers to this. There are 'no oil' vitamin D supplements. Also, you can try a vegan version that is made with lichen and has no oil, such as MRM Vegan Vitamin D3 5000IU Veg Capsules, 60 Count . I found Kerri's site a few months ago and I learned so much from her. Although I have to do what's good for me and I probably take more Vitamin D3 than she would recommend, I feel better at my dosage and higher blood levels. If I do not take at least 800 mg/day of Magnesium Glycinate or Citrate, I get anxious, headaches and muscle cramps. Large amounts of Vitamin D seem to use up magnesium as Kerri states. I prefer Magnesium Glycinate because it is more bio available than other forms and it is the least likely to cause stomach upset/diarrhea.